Face masks are indubitably the best and the most satisfying part of a spa visit. That amazing feeling of pampering yourself by giving your skin the much-needed care is definitely something that tops the charts for all skin lovers. While, steam and sauna baths, aromatic massages and meditation also rank high on self-indulgence scale, endowing your skin with a facial mask definitely takes the cake. Finding the best face mask for sensitive skin can be a formidable task. But once you find out the one that suits your skin, it can do wonders. 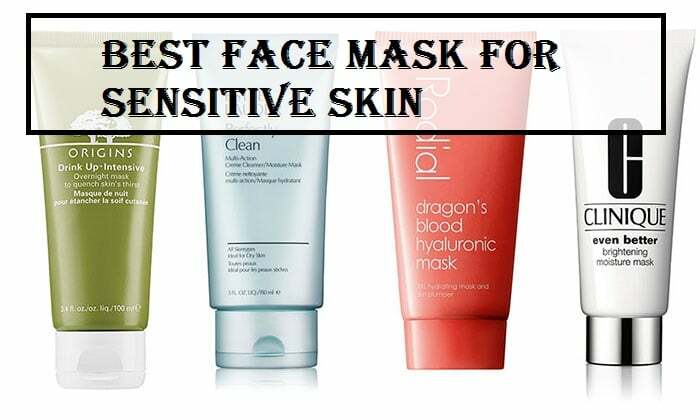 We have formulated a competent list of some of the best face masks for sensitive skin based on the ratings gathered that will help you secure an ultimate skincare experience. According to you, these top rated products were rejuvenating, hydrating and soothing without being harsh on your skin. So, here are some of the options that will undoubtedly deliver much more than you expected. 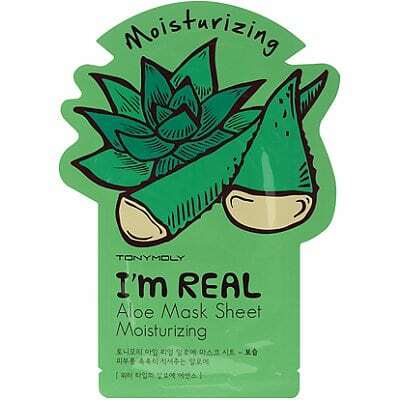 Pamper your skin with Tony Moly I’m Real Mask Aloe Sheet that will brighten, plump and hydrate your skin. The great mask contains a rich quantity of aloe vera that soothes the skin and reduces redness and inflammation. It is a three-layer pulp sheet which is enriched with a water-based essence that provides intense hydration and moisturization for the skin. It is free from all parabens, triethanolamine, benzophenone and talc, making it ideal for sensitive skin. Thoroughly clean the face, pat dry and apply the mask to the face. Let it stay for 20- 30 minutes and remove it. Gently massage the remaining product into the skin in a circular motion. 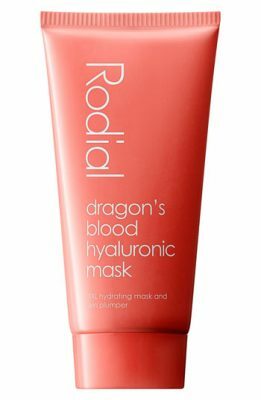 Rodial Dragon’s Blood Hyaluronic Mask is your beauty hero for plumping the visible signs of aging and keeping your skin hydrated. The dragon’s blood, obtained from croton lechleri tree, helps in easing the sensitive skin by reducing inflammation and redness. At the same time, the amazing formula exfoliates the skin and tightens it to achieve a younger look. Apply a very thin layer of the mask to thoroughly cleansed face. Leave it for 10-15 minutes. Rinse. *Note: The product can also be used as a leave-on mask for offering intense moisturization and nourishment to dry skin. It is ideal for overnight application. 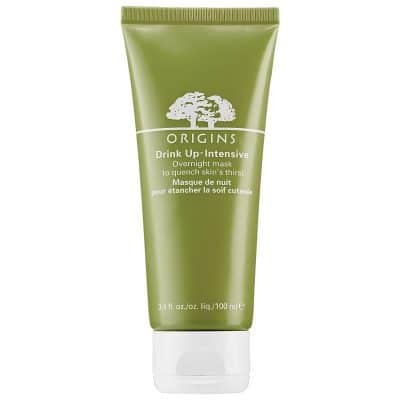 Origins Drink Up Intensive Overnight Mask to Quench Skin’s thirst makes your skin feel hydrated and rejuvenated. External environmental agents, stress, and pollution take away all the vital moisture from your skin, making it appear dehydrated and damaged. This facial mask promises to compensate for all the lost moisture by providing deep nourishment and at the same time creates a reservoir for tomorrow. It is rich in Apricot Kernel oil and Avocado oil that replenishes the skin. It also uses Japanese Seaweed to help to lock the moisture and prevent future dehydration. It also keeps the premature signs of aging at bay. The product has an amazing fragrance and comes in a travel-friendly packaging. Clean your face thoroughly and apply the face mask onto your skin at bedtime. Gently massage in a circular motion. Wipe off the excess product. 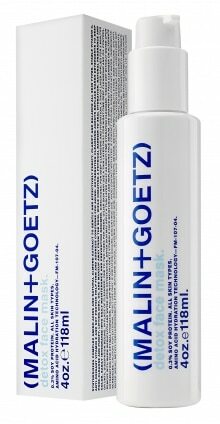 Malin + Goetz Detox Face Mask is a product that gently and very effectively cleans, purifies and balances out the skin. enriched with complex amino acids, natural almond extracts, vitamin C & E, and soy protein, the face mask addresses all appearing signs of aging and tightens the skin. It comes in foaming gel formulation that only needs to be left on for 5 minutes to expel all the dirt and makeup residue from the skin, cleanse the pores and lock in the hydration. It is a mild and natural fragrance and can be easily incorporated into your daily skincare regimen. Apply a generous amount of gel onto clean skin. Let it stay for five minutes. Use a clean and wet cloth to wipe it off. For best results, use it twice a week. Now achieve gorgeous skin in just ten minutes with Charlotte Tilbury Goddess Skin Clay Mask. This facial mask will leave your skin dewy, glowing and intensely moisturized by reducing the flaws and firming the pores. The clay mask drives inspiration from Mediterranean beauty recipe that combines the nutrient-rich Spanish clay with sweet almond oil and renders deep nourishment to the skin. It also contains essential ingredients with anti-aging properties such as BioNymph Peptide complex that helps to improve skin elasticity and boosts the collagen production. This adds to the countless benefits this facial mask has to offer. Apply a thin layer of the mask on the entire face, avoiding the delicate eye area. Gently massage with your fingertips starting from the center of the face moving outward towards the neck and hairline. Rinse with warm water to reveal softer and baby smooth skin. Clinique Even Better Moisture Mask is a rich and luxurious cream mask that helps to rediscover skin radiance and luminosity. It seeks to hydrate and revitalize your skin, making it soft smooth and supple. The mask shows a blend of skin-replenishing ingredients such as sweet almond, squalane and numerous antioxidants that comfortably soak into the skin and reinforce skin hydration and the natural barrier from daily attacks. Even though the mask is thick, it is extremely lightweight and seeks to restore skin brightness and radiance. Clean your face and apply a generous amount of mask. Spread evenly carefully avoiding the eye area. Wait for 5- 10 minutes and then wipe it off. If any product remains, pat it into the skin or rinse with lukewarm water. For best results, use the mask twice or thrice a week. There is a general list of guidelines that should be kept in mind while using a face mask. Always wash your face thoroughly before applying a mask. Putting the mask on a dirty face can trap all dirt and impurities in the skin. Pat dry your skin, do not rub it. Your already sensitive skin will be more prone after all that absorbing so be sure to treat it with some added care. Keep a check of time when you leave on your mask. In the case of a clay mask, a very long duration is not preferred as that can dry out your skin. Similarly, with a moisturizing face mask, duration of more than 15 minutes can result in clogging of skin pores. So, adhere to the application time mentioned on the package of your mask. Follow up with products that suit your skin type. After the application of a face mask, the skin tends to become more absorbent so follow up with products that treat your skin the way it deserves. Should you Avoid Facial Masks if you have an Acne-Prone Skin? Simply because your face has become a battleground of zits and blemishes, doesn’t mean you have to keep yourself from reaping the benefits of a good facial mask. Try to look for efficient formulas that seek your control and regulate the sebum production. What are the Benefits of Using a Hydrating Face Mask for Sensitive Skin? Hydrating masks are glorified versions of good moisturizers. They act as soothing creams that not only add the required moisture to your skin but at the same time, transform your skin by reducing inflammation, redness, and pigmentation. How to Choose the Best Facial Mask for Sensitive Skin? If you have a sensitive skin then you should opt for a mask that is packed with lipids, fatty substances (argan oil, shea butter, avocado), moisturizing ingredients and soothing agents such as thermal or floral water. They help to soothe and hydrate the skin, leaving it baby soft and supple.